If Outlook isn’t launching properly, you might need to repair your inbox. Handily, Outlook offers a built-in Repair Tool that can help you fix various problems with your PST files and we will show you how to use it. 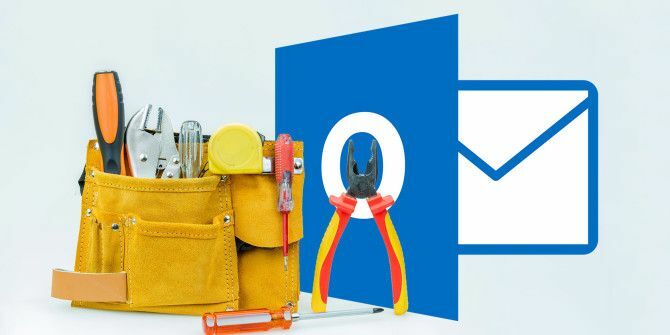 If the Repair Tool doesn’t help, we’ll also run through various other troubleshooting steps that might repair your inbox or help you get access to Outlook, like updating Office or disabling add-ins. If you have your own tips to share in regards to repairing Outlook files, please do let us know in the comments section below. Do You Need to Use the Tool? Errors have been detected in the file [PST file path here]. Quit Outlook and all mail-enabled applications, and then use the Inbox repair tool. The file [PST file path here] is not an Outlook data file (.pst). Cannot start Microsoft Office Outlook. Cannot open the Outlook window. The set of folders cannot be opened. The operation failed. If the error specifically calls out an error in a PST file, you need to use the Repair Tool. But even if it doesn’t, it’s still worth trying it anyway. If you’re not having any luck, open File Explorer and do a search What Are the Fastest Tools for Windows Desktop Search? 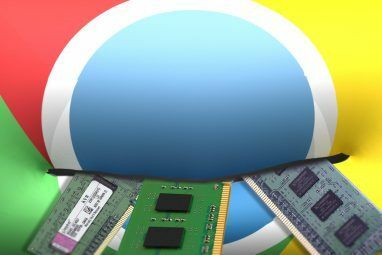 What Are the Fastest Tools for Windows Desktop Search? Search is one of the digital tools we take for granted and heavily rely on. Fortunately, Windows comes with a handy search feature. Could third-party tools be better and faster? We made the test. Read More for *.pst in order to return all PST files on your system. Second, you need to locate the Repair Tool on your system. It’s installed by default with Outlook, but its actual location will vary depending on your operating system type and version of Outlook. The program is called scanpst.exe. Alternatively, you will see it in the Program Files (x86) equivalent. If you can’t find it, use File Explorer 10 Little Known Features of Windows File Explorer 10 Little Known Features of Windows File Explorer Don’t let Windows File Explorer fool you with its plain looks. It’s capable of many more actions and tweaks than it lets on! Let us show you a bunch of them. Read More to do a system search for scanpst.exe. Before beginning, close Outlook and any other application that might be running any Outlook file. Now you’re ready, so launch scanpst.exe. Select Browse…, find and select your Outlook file, click Open, and hit Start to begin the scan. The tool will work through various checks, but won’t make any changes to your file just yet. Once complete, you’ll receive a message to say that the file has been scanned. If applicable, you’ll also be told that there are errors in the file. You can click Details… to find out more about those errors, though the description can be a bit vague. Ensure that you have Make backup of scanned file before repairing ticked. Although this tool shouldn’t damage your file further, it’s better to be safe than sorry. When ready, click Repair. 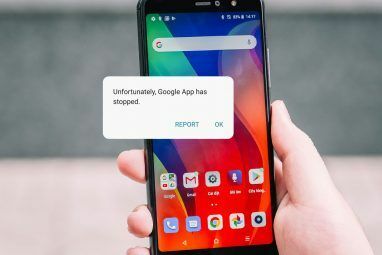 It’ll begin working its magic and can take a little while if you’re repairing a large file, so don’t worry if the program looks like it’s not responding. When it’s finished, you’ll see a window reading Repair complete. If you have multiple Outlook files, repeat this process for each of them. You can now reopen Outlook, hopefully free of errors. You may find that although your emails have been recovered, the folder structures have not. Your emails may be in a Lost and Found folder instead. If the problems are still occurring, read on for further troubleshooting steps. If using the Inbox Repair Tool didn’t solve the problems with Outlook, these following steps might. By keeping Office up to date Automatic Updates in Microsoft Office 2016 Explained Automatic Updates in Microsoft Office 2016 Explained Microsoft Office 2016 will be running an auto-update feature and a number of different servicing branches similar to Windows 10. Let’s explore what that means for your Office 2016 installation. Read More , you can ensure that bugs are patched and vulnerabilities are closed. 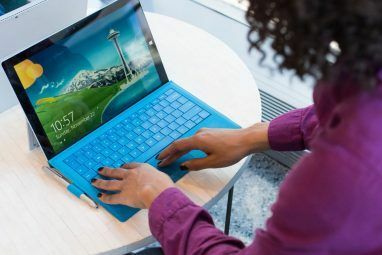 These can be delivered via Windows Update How to Find Out Every Last Thing About Windows Update How to Find Out Every Last Thing About Windows Update Once a month on Patch Tuesday, Microsoft releases cumulative updates to all Windows users. We'll show you how to gather information about updates and which Windows Update settings you should be aware of. Read More , so let’s check that you have automatic updates for Office enabled. In Windows 10, press Windows Key + I and select Update & security. Then click Advanced options and tick the box for Give me updates for other Microsoft products when I update Windows. Then go back a page and Check for updates. In Windows 7 and 8, open the Control Panel (either via the Start menu or Windows key + X.) Select System and Security, then Windows Update. Click Change Settings and tick Give me updates for other Microsoft products when I update Windows. You can try running a built-in tool to repair any problems with Office. First, close any Office programs you have open. Then open the Control Panel and select Programs and Features (or just do a system search for this.) Select your version of Office from the list and then click Change. From the window that opens, your ideal option to select is Online Repair. This requires an Internet connection and is the more thorough choice, though it will take longer. If you’re working offline and have no other choice, you can select Quick Repair. It might be that an add-in is stopping Outlook from loading properly. To help determine this, do a system search for outlook.exe /safe and then select the result. If Outlook launches, go to File > Options > Add-Ins. At the bottom of the window, select Manage: COM Add-ins and click Go…. Clear all of the boxes and then click OK. Close Outlook and reopen it normally. If the problem doesn’t occur, one of the add-ins was the cause. You can tick each add-in in turn, reloading Outlook after each, to find out which is the exact add-in causing you trouble. Then follow the above steps again to disable it for good. It’s always good practice to back up your data; your Outlook files are no different. If you have your PST files backed up, future errors might be resoled by restoring to a healthy backup rather than repairing a live file. For this you can use any decent backup tool Top 10 Backup Software Apps For Your PC Top 10 Backup Software Apps For Your PC Read More or a specific program for backing up email How To Backup Your Email and Browser Profiles With KLS Mail Backup How To Backup Your Email and Browser Profiles With KLS Mail Backup Read More . If you’re at your wits end with Outlook, it might be time to investigate alternative email applications The 5 Best Free Desktop Email Clients The 5 Best Free Desktop Email Clients You need a free desktop email client to handle your incoming mail? Here are the best desktop email clients you can use without cost. Read More . Otherwise, you might want to use another Microsoft offering, like the Mail app in Windows 8 and above How To Set Up & Troubleshoot The Mail App In Windows 8 How To Set Up & Troubleshoot The Mail App In Windows 8 Windows 8 features a pretty slick Mail app. If you thought it only supported Microsoft accounts, such as Hotmail, Windows Live, or Outlook, you were wrong. The Windows 8 Mail app lets you add any... Read More . Have you ever had to repair your Outlook inbox? Do you have any other methods to share? Explore more about: Desktop Email Client, Microsoft Outlook, Restore Data, Troubleshooting. Its true that if Outlook data file corruption level is primary then scanpse.exe can fix the issue. But if PST file is highly corrupted then using third party tools, one can easily fix the Outlook PST file. I recommend Outlook PST Repair tool from DataRepairTools which can easily fix and restore Outlook PST data successfully and supports upto latest versions of Outlook 2016 and Windows 10 operating system. I Had Some Big Crashing Problems With M$OUTLOOK2K3PRO A Few Months Back. After The PCWORLD Forums Were Terminated, SCFORUM Friendly Admins Advised Me To Kill All Entries In The AddIns Manager - No More Problems Since.